​These 6 ft Resin Rectangular Tables have sturdy metal legs and a light grey resin tabletop. 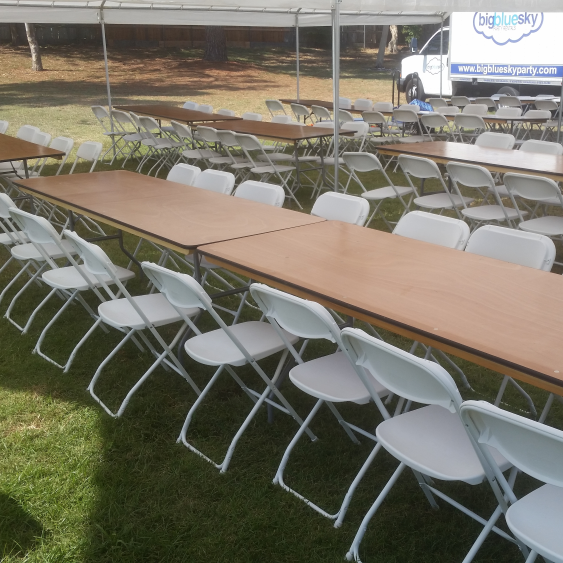 Each table measures 72"L x 30"W x 29.5"H, weighs 32 lbs and can seat 6 to 8 people and are great for any type of party, event or meeting. If you're having a birthday party, don't forget to get an extra table or two for gifts or your food spread. Use these tables as they are, with your own tablecloths or covers or with the our 60" x 102" Rectangular Tablecloths.